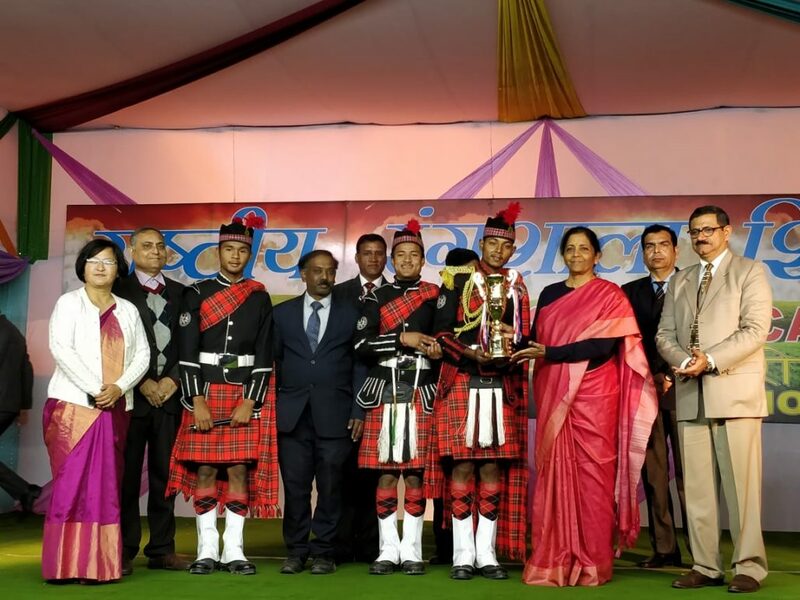 Jorethang Senior Secondary School Band of South Sikkim which won the first position in all India Inter School Band Competition in December 2018, was invited by the Prime Minister’s Office to participate at a function in the PMO in New Delhi. The band team led by Archana Gurung, Principal of Jorethang SSS met Prime Minister Narendra Modi at his residence on January 24, where the Prime Minister interacted with the band team during an interactive programme. Union Defence Minister and Sports Minister were also present at the function. Youths of neighbouring countries Nepal, Bhutan, Pakistan, Russia, Sri Lanka, China, Japan, Bangladesh, NCC Cadets and NSS were also in the programme. The programme was for motivating the youth of the country towards a better society and qualitative human resource. The students comprising the band team were offered to perform during at the National Police Memorial Ground on January 27, 2019. The team also witnessed the 70th Republic Day parade at the Rajpath on January 26. On the last day of their visit to New Delhi, they performed the band programme at the Rashtriya Rangshala. The team was felicitated by the Union Defence Minister Ms Nirmala Sitharaman. The HRDD Minister R B Subba has expressed his happiness and congratulated the band team for having performed during such occasion. The ACS, HRDD G P Upadhyaya has also congratulated the team and has wished that they go ahead with achieving mote such accolades in the days to come. The State Project Director for Samagra Shiksha (SS) Bhim Thatal has stated that the band competition, which started in 2017, is a programme sponsored by the Ministry of HRD under the Samagra Shiksha programme and that this is the second instance of such competition held so for in which Sikkim has stood second in the first year and first in the second year of the event. He further congratulated the team and has also expressed his thanks to the Principal of Jorethang SSS for preparing the students in a call of very less time of one day. The HRDD requests the school leaders and students to participate in such more programmes and competitions being held at the national level on several disciplines for which funds are available under the Samagra Shiksha. Having focused on the scholastic and holistic development of the students, Sikkim is achieving in many fronts at the national level.